Great news. 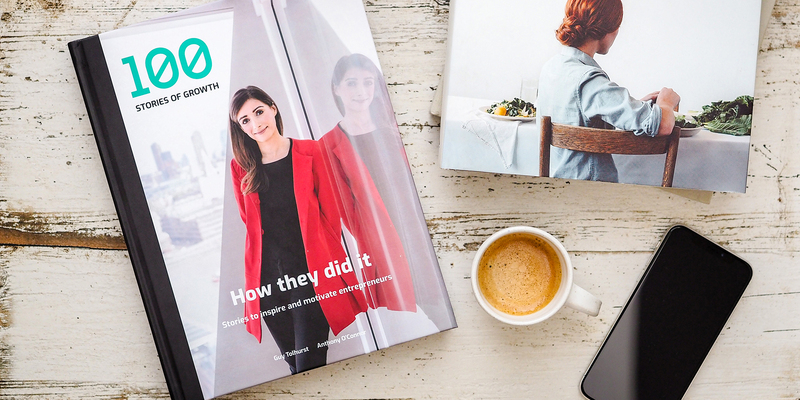 We’ve released our Insights from Entrepreneurs report following more than 12 months of in-depth quantitative and story-based research in the SME scale-up community in the UK. Learn how impressive scale-up entrepreneurs right across the UK are thriving and achieving their amazing growth ambitions. So what’s their secret? They’ve all found a perfect blend of capital – emotional, human, intellectual and financial – to earn their seat at the table of scale-up champions. And what’s more, they tell us what works, what doesn’t, and where there’s certainly room for improvement. It’s a must-read for anyone in the SME community. Our report reveals founders’ wellbeing, good mental health and fully functioning business relationships form the bedrock of their success. Even though they often face acute challenges scaling their business. Well-supported founders with strong professional relationships – with their investors, financiers, advisory boards and senior management teams – are much better prepared to secure funding, and grow their revenues, teams and exports. What is crystal clear about our studies is that people not corporate machines run companies. Real people with highly developed intellects and business acumen. Motivated, enthusiastic and talented business leaders that are creating new products and services that benefit all of us in some way or another. Our research confirms that growth and scale-up company founders are a resilient bunch. The more successful ones are working hard collectively to push the UK up the international scale-up country rankings, where the country currently languishes around 13th place. But to be fully prepared to grow a business, an entrepreneur needs to develop resilience. This elusive quality can only be built up systematically over time, with space to experiment, freedom to make mistakes and opportunities to try again. Founders need the resources and people to support them, to help create an entrepreneur’s toolkit designed to deliver sustainable successes. At times though pressures intensify and have to be vented in some way. Without support and assistance, company founders can feel lost and unsupported, and pressure can take its toll at work and at home. As founders and business leaders make professional and personal decisions in growing their businesses, the emotional factors in every decision they make are very important. This golden thread links every part of a founder’s growth journey according to the campaign’s research. • 53% of company founders say that growing their business has been “one of the toughest experiences of my life” and a further 46% say they have “felt constantly under pressure”. • 25% of founders and business leaders acknowledge they’ve had poor mental health in the past but have “tended to suffer in silence”. • A resounding 62% of respondents agree that “knowing other people were going through what I am and being able to speak with them” was greatly important. • 25% of entrepreneurs would like to see more help coming from their investors, 15% would like more help from their professional service partners, and 13% would like to see more support from their friends and family. We’ve launched the Don’t Lose it initiative and Mindful Investor initiatives to spearhead our work in promoting good mental health and wellbeing. We are welcoming the investment community to pledge their support to greater wellbeing, diversity and inclusion in the SME community. Sign up your interest here. We’ve found that companies that seek and raise external capital are generally – but not exclusively – more able to fund key hires thanks to increased investment power than those that rely on their cashflow to fund hires. Our research shows that nearly three-quarters (73%) of companies that are equity-backed have grown their headcount by more than 20% over the last 12 months. This is compared with 61% of all respondents. Some 81% of equity-backed companies are confident that they will grow their “UK headcount by 20% or more over the next 12 months”, compared with 67% of all respondents. • 38% of all respondents in the research have raised equity, averaging at £8,765,117. 64% are male and 36% are female. • 59% of all respondents have raised debt, averaging at £14,113,059. 55% are male and 45% are female. Our research reveals that founders have generally preferred to secure investment or finance from capital providers whom they like and respect. They’ve also preferred capital partnerships where there is mutual understanding and a shared vision of their business. While it is not clear if men have easier access in reality to equity investments, they may have more choice. Just 18% of men say that they find it difficult to know where or from whom to source equity – but 40% of women entrepreneurs believe that this is the case. Investor focus is one resounding area where both male and female founders would like to see more support. More than four in five (81%) of women and 73% of men say they would like to see investors prioritise their funding to companies with the greatest growth prospects. Almost of half (49%) of all respondents in the research say that their key legacy objective is to achieve “a sense of personal achievement and dream fulfilment”. This sentiment speaks to the much-discussed theme that entrepreneurs very often – but not always – embark on journeys that are fuelled by passions and personal quests in life. Slightly less than half 45% say they want to achieve “long-term financial security for my family”. Many founders and business leaders are firmly focused on delivering success for those around them. Nearly two-thirds (63%) say they are working to build “a company that provides long-term security for its employees and lasting benefits for other stakeholders.” Out of all of the legacy objectives this one scored the highest in the research. Who’s taken part in our research? • 253 companies collectively employ a total of 15,455 people – their headcount growth is an average of 28% a year. • Companies that have collectively reported £2,792m in their latest annual turnover, growing annually at an average of 24%. • 67% of companies export and 62% of companies have grown their exports 20%+ over the last 12 months.